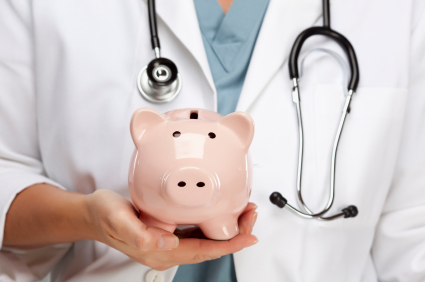 Will the new healthcare taxes impact you or your clients? Read on to get informed. First, we will review some critical definitions in the existing tax law necessary to the understanding of the new healthcare taxes. Adjusted gross income (AGI) is a taxpayer’s total annual income, profits and losses from all three income categories. Modified AGI includes tax exempt foreign earned income. AGI is not the same as taxable income remaining from AGI after personal deductions, the income amount on which you are taxed. trade or business income, which includes income, profits and losses from the taxpayer’s trade or his owner-operated business, resale inventory and real estate used in the trade or business. Earned income is income subject to self-employment tax, and/or wages received with respect to employment, which are subject to Medicare tax. an additional 0.9% self-employment Medicare tax on earned income exceeding $250,000. These additions go into effect for the 2013 taxable year. 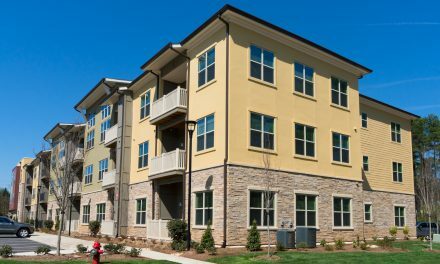 interest income on savings and trust deed notes, earnings on land held for profit and rents received on triple net leased property (portfolio income category assets). Net investment income is classified as unearned income; it is not earned income defined as income resulting from trade or business operations and subject to self-employment taxes (which includes the 2.9% Medicare tax and a separate additional 0.9% surtax discussed below). Thus, if AGI exceeds net investment income, net investment income is the only income subject to the 3.8% surtax, and then only to the extent your AGI exceeds the threshold of $250,000 for joint filers ($200,000 for single filers). Note that if you have net investment income, but your AGI is below the set threshold, you are not subject to the 3.8% investment tax. Likewise, if your AGI is solely from salary or wages, it is not subject to the 3.8% investment income / profit tax. For example, if you had an AGI of $5,000 over the threshold amount, but $0 in net investment income, the lesser of the two amounts ($0) would result in $0 healthcare tax. This is all in addition to current income tax rates on rental operations [10%, 15%, 25%, 28%, 33%, 35%], and capital/recaptured gains on sales of capital assets [15% and 25%]. However, a second healthcare tax exists. The separate additional 0.9% Medicare tax added by the healthcare law is on earned income, including income from a trade or business subject to self-employment taxes. The additional 0.9% tax is on wages earned in excess of $250,000 for joint filers ($200,000 for single filers). This tax is separate, and may apply in addition to the 3.8% tax. Consider our short example above. 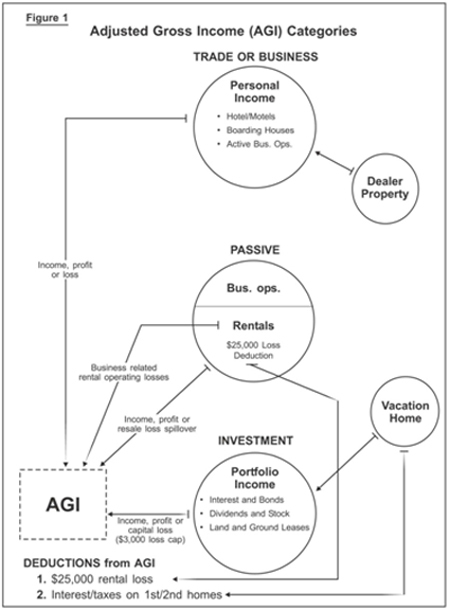 Your AGI consists solely of self-employed income. While you are not subject to the 3.8% tax since you have no net investment income, the $5,000 over the threshold AGI amount is subject to the 0.9% additional Medicare tax. How many Californians will this new tax law affect? Perhaps less than 3.5% of Californians who file tax returns. 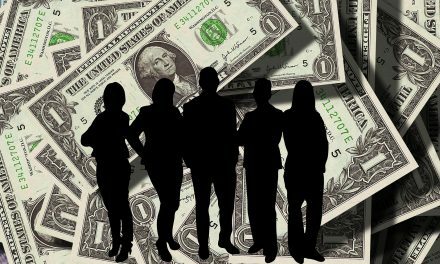 What we do know is that 3.9% of California taxpayers, and 3% of U.S. taxpayers had an AGI over $200,000 in 2010 (the percent of taxpayers with AGIs exceeding $250,000 – the threshold amount above which joint return filers may be subject to the 3.8% tax – is unavailable and thus uncertain), based on the latest IRS statistics. The median household income in California is $54,500, as reported by the U.S. Census. Thus, the vast preponderance of taxpayers are very, very far away from ever reaching income and profit levels to trigger these surtaxes. The healthcare tax is an issue of the government of a developed country caring for its people. Some have much, most have little. Those with much do not make money based on their labor (with rare exception), while those with little make their money as the fruit of their labor. The distinction is between the rentiers and the debtors. Rentiers and debtors: why can’t they get along? So when the management of society (government) decides to improve the standard of living for its extremely low-income or impoverished citizens, such as with healthcare for all, the cost of the program not covered from earnings of the low earners among us must be paid with government revenues. A government’s sole method for raising revenue is to tax its people who have earnings. Thus, the healthcare increase in operating costs falls on the wealthiest among us, but only those who have huge net investment income AND an AGI over the threshold amounts who will not suffer a drop in their standard of living due to the tax. Opponents of the healthcare tax argue that some of the healthcare taxes collected from our wealthy Californians will not come back to California, a transfer to people living in other states, particularly those impoverished areas of the South which benefit most from healthcare. In fact, the Golden State will benefit from the healthcare law, as 14% of the state’s population lives below the poverty level. (According to the latest census data, Mississippi has the highest poverty level, at 22%, compared to the nation’s lowest poverty level in New Hampshire, at 8.5%). As of 2011, 15% of Americans did not have health insurance. So, who is to be taxed to pay for this transfer of wealth to those who are very poor and do not pay “income taxes” or cannot afford health insurance? (They do pay their one-half share of the 15.3% employment taxes if they have a job, unless their employer does not withhold taxes, as occurs in California’s grey economy). Thus, healthcare tax revenue must be set at an amount sufficient to cover the additional cost of the government paying to cover insurance premiums for the poorest among us; those who have insufficient or no access to healthcare outside of the Emergency Room, cost of which is covered by state and federal general tax revenue. As a result of the healthcare tax, the government will not incur a cost that is not already covered by taxes paid in other ways – a pay-as-you-go effort avoiding government deficit financing. In 2013, a married couple,as real estate licensees, earns $150,000 in net trade or business income subject to self-employment taxes in 2013. They also have $400,000 in net rental operating income and profits on the sale of those properties, part of the net passive income category. Further, they receive interest of $50,000 on trust deed notes, which is portfolio income. Thus, their total AGI is $600,000, $350,000 of which exceeds the AGI threshold of $250,000. The couple also has net investment income of $450,000 ($400,000 in the passive income category, and $50,000 in portfolio income). The 3.8% tax applies to the lesser of the net investment income, or the excess of AGI over the $250,000 threshold. Thus, they must pay 3.8% of the $350,000 AGI over the threshold amount, or $13,300. Their personal income does not trigger payment of the additional 0.9% Medicare tax, since the earned income threshold of $250,000 was not exceeded by their $150,000 net business income. Further, if an owner-occupant sells their home for a profit, to the extent the profit exceeds the IRC §121 $500,000 principal home profit exclusion, that excess profit is from a capital asset and is part of net investment income. Again, the homeowner’s AGI must exceed $250,000 before the net rents, profit and other investment income begin to be taxed at the surcharge rate of 3.8%. Is a foreclosed homeowner entitled to money losses from a lender who forecloses sooner than it verbally agreed to? This article was good summary of the tenets of the new law. I DON’T have time to read the “1000 pages” or so. So I appreciate JUST the facts. 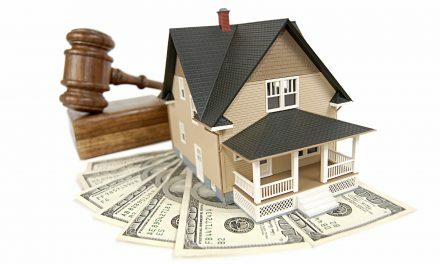 I need to know how the law affects my real estate customers, both rich and poor. Why can’t you dittoheads just take it as information, instead of irrationally reacting and looking like a bunch of dodos (extinct birds, if you don’t know)? Would information be so damaging to your basic beliefs that you cannot afford to just read something from an unbiased point of view? I am neither progressive nor conservative, I’m just a pragmatic business person. First Tuesday is the messenger, not the entity that passed the law. Most of the time, they do a pretty good job of keeping us informed. Just a comment on the law– Pelosi said pass this law and you will know what is in it. I do want to be required to buy health insurance; just as I never wanted to contribute to social secuirty; wanted my own fund for my retirement. I hope that is civil enough. P.S. How many have really read the 1000 pages or more of the obamatax? FT’s business is not going to hurt. I’m a realtor, I sell $20M a year & I’m a democrat…. Go figure !!! To California Girl: Mitt Romney paid millions of taxes every year, how much have you paid? I assume none! 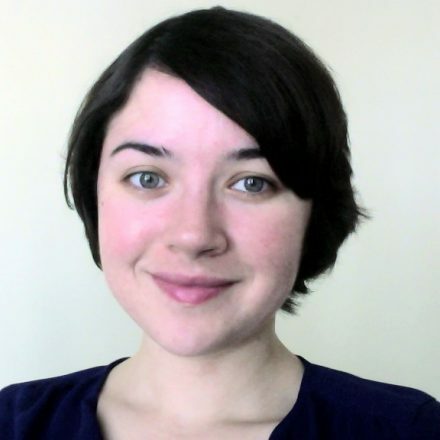 To 1st Tuesday: You should stick to Real Estate education, and not meddle in politics! Your Marxist drivel is repugnant! Remember who your clients are, real estate agents, mostly capitalists. Few of them will appreciate your efforts to give them an education in Communism! I am an educated business woman. Ican not see politics here. If you don’t like the law go out and get it changed. First Tuesday is not chosing sides but telling us facts. Maybe, I am tired of the constant political jargon we have endure during this election year. If you can not express an opinion without name calling or attacking anyone who does not share your belief system I am sorry for you. The founding fathers of our country were progressives who fought so that we could have free speech. Free speech is only free when it is used to express an opinion or belief that is not intended to hurt or harm another. Thank You F T for an informative look at the healthcare situation. I don’t think this is about politics and shouldn’t be, it is about what it means to each of us and how it will affect us when we do our taxes. Mitt Romney only payed 14% last year and he is worth a lot more than most of us. We have no idea what he paid when he wasn’t running for president. So my feeling is that it won’t realy affect the very rich that much because they have always had numerous ways to get around the system. And this is\n’t a comment against republicans I just have no idea how much Obama makes. The fact remains–we are the only developed country that does not have a healthcare in plan for our people. As much as it scares me (I have great healthcare) it is long overdue. This really is sad. I came to this article to see the honest facts of how Obamacare would affect the real estate market and instead I get more liberal indoctrination. If I wanted leftist propaganda I’d be reading The New York Times. Not that I’m expecting some right-wing talking points either. But just the pros and cons would be helpfull. I guess I’ll have to continue my Real Estate education elsewhere. BTW, the idea that we can tax “the wealthiest among us” into oblivion with out affecting “the poorest among us” is complete nonsense. Who do you think employs the poor? In fact I just read an article today that shows how the low-wage work force grew by 30% as the overall job market continues to shrink. With Obamacare we can expect more of this. And in case you’re not aware, low wages don’t make for a good prequal when buying a house. Maybe the author of this preposterous article should share his home with those who can’t qualify to buy a home of their own. Hey, that’s what those of us in developed countries do right?. Share the wealth, right? So your only argument is to call names. How pathetic! BTW I was not referring to your political philosophy but to the statements I quoted from 1st Tuesday article. As for me, I am a confirmed capitalist and have exceeded beyond my wildest dreams. Also a constitutional conservative that sees this great Republic headed down the drain because of decades of progressive policies and government. So, what do you call the activities of millions of corporate managers and small business owners? And I just can’t resist commenting on Dan’s, “I was just saying First Tuesday wasn’t biased, they were simply stating the facts”. OK I’ll just leave it at…REALLY!!! Then there’s Hal’s, “Corporations that have no social agenda – only a mandate from shareholders to make as much money as possible”. Duh. Who owns the company? What do they require? Do you know what Fiduciary Responsibility is? Do you know what happens to corporations and their Board if they don’t comply? Yeah, I didn’t think so. By the way, “A government’s sole method for raising revenue is to tax its people who have earnings” is not true. Individual Income Tax provides only 42% of the Feds confiscations. Thank you FT for a fair and balanced look at the health care tax issue. Single payer health care is a fixture in most civilized countries, and it is immensely frustrating to read the same old Rush Limbaugh-inspired slogans coming from people who are too lazy to think these issues through for themselves. Universal health care is long overdue in this country, and it is a travesty that the richest country in the world has fallen under the influence of short-sighted idealogues incapable of seeing the big picture. The polarization of wealth and the influence of Corporations that have no social agenda – only a mandate from shareholders to make as much money as possible – will eventually destroy America unless Government again finds a strong voice and re-establishes regulation over the powerful corporations that control the political debate today. A large, strong, middle class is the key to more taxpayers, fewer collectors of transfer payments, and long-term lower tax rates for everybody. We must invest in education and create a well-prepared work force with the skills to move from poverty into the tax-paying class. From this and other articles- particularly the one on income equality and capital gains taxes- it is clear that First Tuesday is supporting a liberal agenda. This is suicide for a business which relies on Realtor support, since most Realtors are Republicans. I suppose I will have to take my continuing education business elsewhere now. What a shame! Robert, you sound like a really bitter person. My short statement has nothing to with my political philosophy, I was just saying First Tuesday wasn’t biased, they were simply stating the facts. On the other hand your comment definitely defines your political philosophy, a philosophy of a disturbed person, a person that needs mental help. FT is entitled to express opinions and facts. Rather than call names, why not rebut in a civil manner, not like the blogs and forums that exist to allow small minds an outlet. I am a conservative and see the benefits of a medical over haul. In fact, had CAR not had a medical plan I would have been left with no insurance after a cancer operation. You fools can opt out. Move to a state where you can be left with the current situation. “The healthcare tax is an issue of the government of a developed country caring for its people. Some have much, most have little. Those with much do not make money based on their labor (with rare exception), while those with little make their money as the fruit of their labor.” This statement is FALSE, only YOUR left wing Marxist philosophy! Read the US Constitution, Federalist papers and writing from Founding Fathers and discover how absurd this is. If you’re Thinking this way, try reading the Communist Manifesto and Russian Constitutions. Yes their were more than one! Those more closely alien with your thinking. By the way, Republicans as well as Democrats can and have been Progressives and this to the detriment of our country! If you think this rag only speaks the truth, that is only your perception of truth! Dave and AJ — When you allow your biased political views to blind you to the facts, then you lose. First Tuesday isn’t a liberal or a conservative rag (Dave’s word not mine). All they’re doing is presenting the facts. When considering most of their audience is probably Republicans that takes courage. Be thankful there are those that are willing to tell the truth! Ahhh, first tuesday finally reveals its true nature as a fellow traveler. There will be no benefits to Californians. Especially, with the central planners deciding who lives and who dies. Nice try first tuesday. I did NOT realize that 1st Tuesday was another liberal rag until now. Re-distribution of wealth is not and never has been a solution to any Disadvantaged, Homeless, Hapless, Under Paid individual. Take an honest look at the old, now defunct, Communist countries — they didn’t work. There is no such thing as equality in living standards, etc. We may be born legally equal but that is as far as it goes. Does anyone really want the DMV / IRS running our health care? ?